Have had a great experience so far and maintenance has been extremely helpful in resolving the few issues that I had with damage due to a water heater issue. The renovations are very modern and give a sophisticated feel for such an affordable apartment complex. Really wish there were laundry facilities in every building, also the walls are really thin. Overall, a clean and quality place to stay for the price. I love it here🥰🥰🥰 . There is a friendly staff awaiting. The neighborhood is nice and plus we are so close to our jobs from the property. This is a perfect fit. I’ve been here 6 months. Although I have only attended one events. I like that there’s always something going on in Club house. Keep sending text messages, I need the reminders. Quick fixes. Awesome community events. Two pool, great amenities. Free stuff. Complaint comes from thin walls I can smell my neighbors smoking in my closest & my other neighborhood lets her dog poop in front of my front windows near the walkway... eye sore, gosh i hope i never trip & fall. Last its be nice if the redid our sidewalk at the building entrance, b/c the mud gets in the building easy. I enjoy the people I have met and enjoy sitting on the porch in good weather. The maintenance crew is responsive to issues and friendly. There isn't a question that someone will not answer or get an answer for. Love my apartment , cozy , and quiet! I’d recommend this place to anybody that is needing to live close to an area with a lot of places to go. And it’s 10 to 15 minute drive to downtown . Nice community,everything is clean and well maintained,the leasing staff are very helpful,they solve immediately any problem you could have I think I will love to live here. Great place. People are friendly and courteous. The place is well kept and managed. They have great events every month for the residentsto enjoy. The apartments are clean, neighbors are friendly, security is always at the main gate, making us feel very safe. We love the new appliances and close proximity to the interstate. I've been living here for 5 months and haven't had a problem that hasn't been fixed within a week of putting in the work order. Totally recommend Nob Hill! This place is fantastic! My neighbors are all very friendly, we all keep an eye out for each other. It feels like a tight knit community. The grounds are very well maintained. And the individual apartments are very comfortable. Living here, you’re home. I’ve been here now 3 months. I came from Memphis and I LOVE it here. The apartments are so active within the community. I’ve never lived in an apartment complex that hosts so many fun family events. 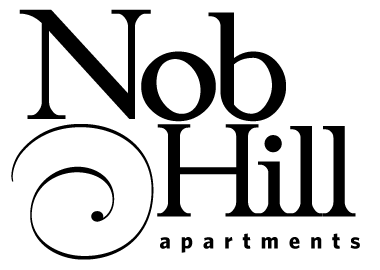 ME AND MY FAMILY LOVE NOB HILL! Feels just like home. I have just moved in and have been nothing but pleased. Location is quiet, spacious and already feels like a home. Can’t wait to get completely situated! Over all,. I really like the the place... some things could be better, like a laundry facility in every apartment or either washer and dryer hook up in every apartment.